Hobson's Blog – A blog about Data Science, Python, AI, ... basically life. I’ll eventually figure out where I put my notes on configuring a Raspberry Pi camera for streaming video and offline object detection. But for now, check out the BerryNet repo. These guys have done it right! A big thanks to Philip R. Baldwin for sharing this clever AI-generated sonnet. It’s one of the winners of Dartmouth’s Poetix competition. Really enjoyed getting a crash course in InfoSec and PenTesting by Dean at the Ctrl-H HackerSpace meetup. Here’s how to get some tools for easy, ethical hacking. The default trackpad settings will cause a lot of ghost clicking and typing all over the place… not great when you’re editing system config files. Cole’s class on neural nets inspired some “out of the box” thinking about how brains work and how we train neural nets. Students asked about the performance of regularization vs random dropout, and the computational bottlenecks for random dropout. Julia has some impressive performance stats, so I gave it a whirl, or half a whirl. I’m not a huge fan of the “Daisy AI Podcast” but he often rattles off a lot of interesting information quickly, like in his 2013 podcast. First I’ll show you a simple example (predicting Portland Weather). Chick swears by his new Ubiquity WiFi access point. So I purchased the High Power version from Amazon using Prime and it arrived in only 36 hours on a Saturday! Maybe having the Ubiqity HQ here in Portland helped. Thank you David Barton and Innovation Enterprise for recording my presentation at the Predictive Analytics Summit in San Diego. It really knocked down my ego a notch to see my awkwardness. You’ve motivated me to practice. Reveal.js and slides.com enable remote-controlled presentations like this one at #PASanDiego. The dynamic voting slide has to be hosted separately, though, because the iframe doesn’t seem to refresh regularly. The first day at #PASanDiego organized by @IE_analytics has been interesting. I haven’t heard a lot of controversial insights, it’s been useful nontheless. Spent a lot of this week working on prettifying bar charts, histograms and animations for some reveal.js slides. Love Python? Interested in NLP? I’m having fun with a traveling salesman, minimum spanning tree problem over here. 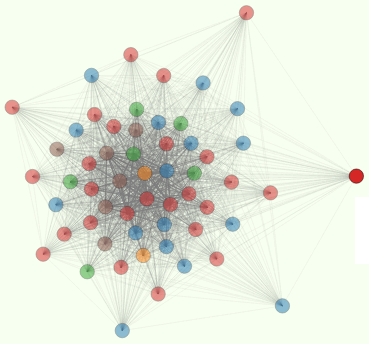 Check it out for pretty graph diagrams and some cool Networkx python examples. I’ve forked the pybrain package and started to hobsonify it to suit my tastes, make it more pythonic, and correct some documentation errors that render some shortcuts unusable. I’m loving this Jekyll thing. You won’t see many pull requests from me, but this thing sure is an efficient blogging tool.